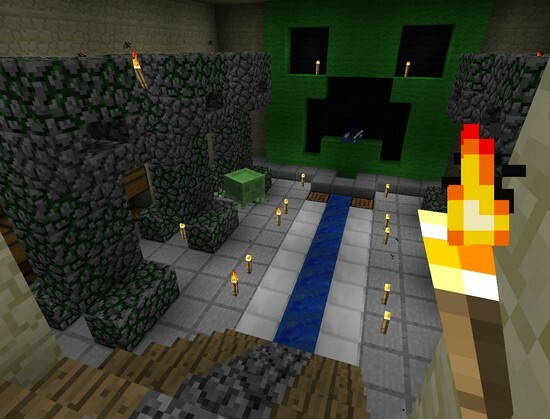 Since Minecraft Beta version 1.3, slimes became common. I remember back before they were removed, they were my favorite "enemy" in the game. 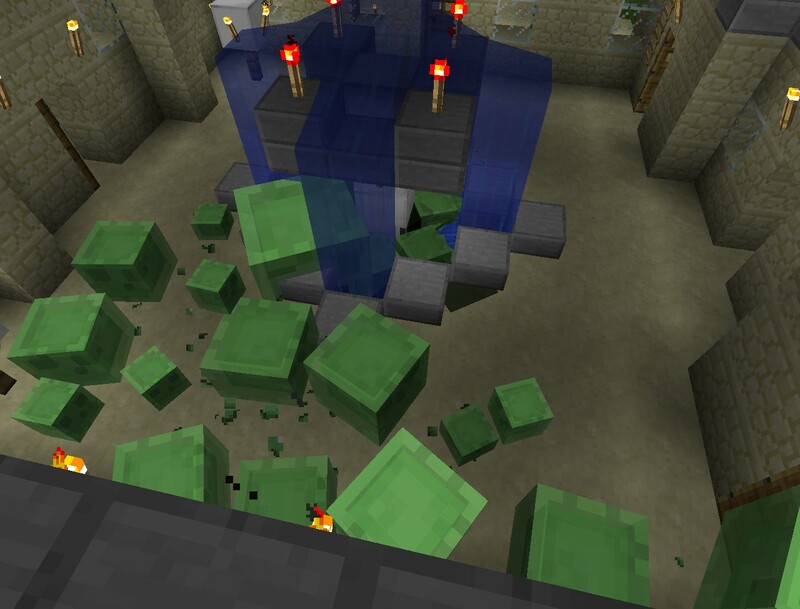 The idea behind a slime is if you kill one, it breaks apart into multiple smaller ones. The smallest can't hurt you, and if you kill them you get slime balls. In multiplayer however, they're buggy as hell right now. Take this medium sized slime that spawned in my mob grinder collection room. This 1 medium sized slime got stuck in the fountain at my creeper temple and drowned to death... Splitting into multiple HUGE slimes, then they drowned and- OH GOD WHY!?! I managed to climb the ladder up the wall to safety, and look down in horror as they kept multiplying; spewing forth from the fountain. It was actually quite entertaining. But alas, when I logged out and back in most of them were gone. Cool! Because of you i started playing minecraft. THANK YOU FOR THE AWESOMENESS! sorry for the double post but what server is this on?